Not sure if it's possible to replace SCSI CD-ROM drive with SCSI SDCard adapter (like this one here imall.itead.cc/scsi2sd.html )? Yes. It works great. I have been using one for two months now. with wich system you use it for replacement?? Mitsurugi: do you have any tutorial ?! Kuze actually put us onto it at the Neo forums. It's very easy to use. You connect it to your computer with a usb cable and use the utility to change the options to CD-Rom and 700mb. Then you load an ISO onto a microSD card. You can use DD but I used the Clonedisk function in WinHex. Then plug the card into the unit and plug plug the unit into the SCSI cable. No need to connect the power cable with CPS3. do you know any place to get a super short SCSI cable and power cable? No need for a power cable with the scsi2sd on a cps3 system. It draws power over the SCSI cable. It still shows "CD-ROM not connected properly. Please turn off power correctly..."
well i've changed to 700mb but it's still not working. Do I need to have a SD card in SD slot to make it works? The post was edited 1 time, last by modology ( Sep 11th 2015, 3:27pm ). Of course. You need to write an SD card using the ISO of the cd you are trying to mimic. I use the clonedisk option in Winhex and it works good for me. 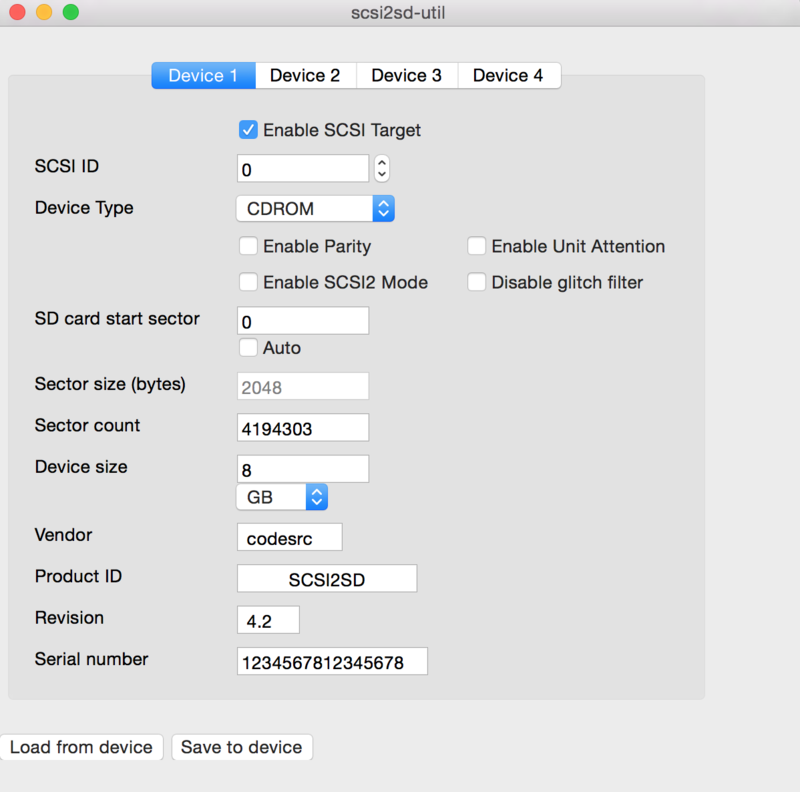 I will make video tutorial so that everyone who wants to replace SCSI cd-rom with SCSI2SD can do it easily. Anyone got around to making a tutorial for this yet? Still don't have a CPS3 or i'd try, but I've got one of the SCSI2SD adapters setup to emulate the drive in an Apple Pippin with great results. Let me see if I can pull the settings I'm using this evening. It definitely works. I've been using it for months.